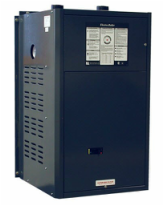 Electro Industries Electric Boilers are designed for multiple temperature and zoning applications. They sense water temperature and maintain an accurate boiler temperature output by only energizing the electric elements for needed output (not full capacity) which increases efficiency. Electro Industries boilers are packaged with features, advanced technology, and quality construction to ensure easy installation and exceptionally long service life - all backed by a 20-year vessel and element limited warranty and a 2-year controls limited warranty. The Mini-Boiler has more features and is easier to install and use than ever before. One of the best features of this new unit is it comes to you at a lower price tag, all while maintaining the high quality and reliability that you have come to expect from Electro Industries. Plus, it provides an easy access control board, a smaller, more compact design, and built-in temperature control. The most deluxe model is designed for multiple temperature and zoning applications. This model has the ability to sense water temperature and maintain an accurate boiler temperature output by only energizing the electric elements for needed output (not full capacity). 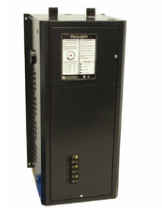 This model eliminates extra costs associated with relays, extra temperature controls, zone boxes, etc. Designed for larger hydronic heating applications, the "C" series boilers offer many new features. Available in many voltages and capacities, the temperature sensing, relay staging and vessel configuration offer quiet operation, minimal relay cycling, consistent temperature output and most of all product reliability.